God bless you all. I am so blessed and honored to be in this position when I can hear from so many of you as you get ready for the Daniel Fast. Please know that God is doing a mighty work. We can all expect great things from our faithful Father. Prayer and fasting is so powerful and while I can’t explain the “why or how” I do know for sure that it moves heaven’s power! I receive many questions about prepared foods and so I wanted to write this post. READ THE LABELS of all prepared foods. Remember that the Daniel Fast is sugar-free and chemical-free. So if you use anything like canned fruits and vegetables, packaged foods, or prepared sauces you MUST, before you use them, READ THE LABELS. Major food companies are “getting it” and now provide many chemical-free products. They’re not as good about sugar additives. So READ THE LABELS and see if the product you are considering meets with the Daniel Fast Guidelines of no sugar and no chemicals. I don’t really know of brands. You can read the list of ingredients on the food labels and select those that are free of sweeteners, chemicals, or leavening agents. Also, totally plant-based ingredients. Hard to find, by the way. Best to go from scratch! Not so sure you will find a suitable pizza option. Whole grain pastas are available in most supermarkets. What brands of store bought flat bread and marinara sauce for pizza /pasta are allowed? All of the additives you listed are chemicals and therefore not allowed on the Daniel Fast. You will find that there are very few prepared foods that don’t have chemicals or sugar added. That’s why I created the Daniel Fast Cookbooks, because to be on the Daniel Fast we need to prepare most of our meals from scratch. Sorry . . . but you can find good quality foods that don’t have chemicals or sugar added. I have been reading the labels but am still a little confused on some things. Some of the words I don’t recognize for example L-cysteine, Fumaric acid, monoglycerides etc. are theses chemicals or how do I know. Is there a list or is it just best to cross it off if I don’t recognize it? I love you this site. I have done the Daniel fast several times for various reasons sometimes for 10 days and others for 40 and I always got so bored with just the fruits and veggies (usually fresh that I just grilled or ate raw) This has been so helpful this time around. Thanks and God bless you! There are many recipes on this site. Start by clicking on Daniel Fast Recipes. If you want more, I encourage you to purchase the Daniel Fast Cookbook, which has all the recipes and meal plans you will need for the 21-day fast. The reviews are great and everyone that has it is very pleased and blessed. 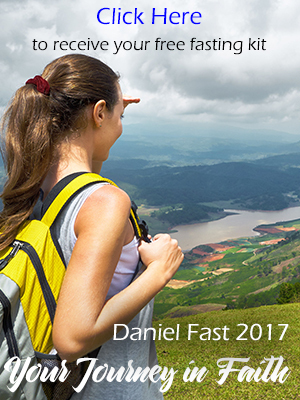 The Daniel Fast Cookbook is an eBook and therefore you will have the recipes right away! Yes, canned fruits and vegetables are allowed as long as they are sugar-free and chemical-free. When you look for canned fruits, select the “Lite” varieties as they are usually packed in their own juices with no sugar added. Vegetables are also a little tricky because so many have chemicals and sugar. So, it’s critical to READ THE LABEL whenever selecting foods. Dried fruits are fine and some trail mixes as long as they just nuts and dried fruit and not chocolate or carob. I hope this helps! Bless you on your fast. Are canned fruits and vegetables permitted mainly veggies because they dont have the syrup like fruits. And also what about dried fruits or trail mixes for snacks.